A brilliant 14k yellow gold cross 17x11mm. The cross features a stunning engraved design with a polished finish. 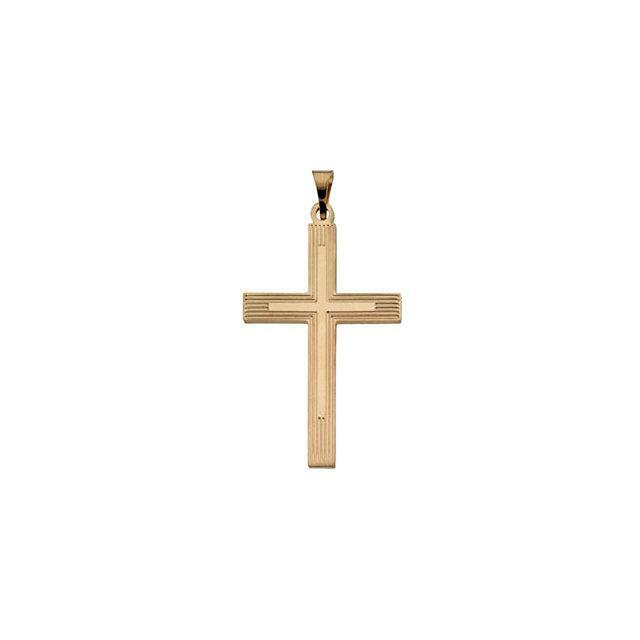 The total weight of the piece is 1.1 grams making it great for everyday wear. 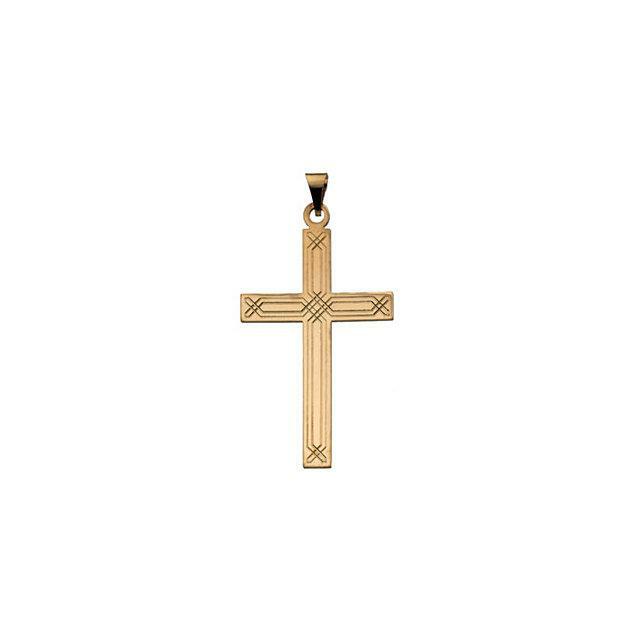 Crosses may be ordered in different sizes and colors contact customer support with any questions.